Check the weather before you set out as Uloola walking track can become boggy when it rains. 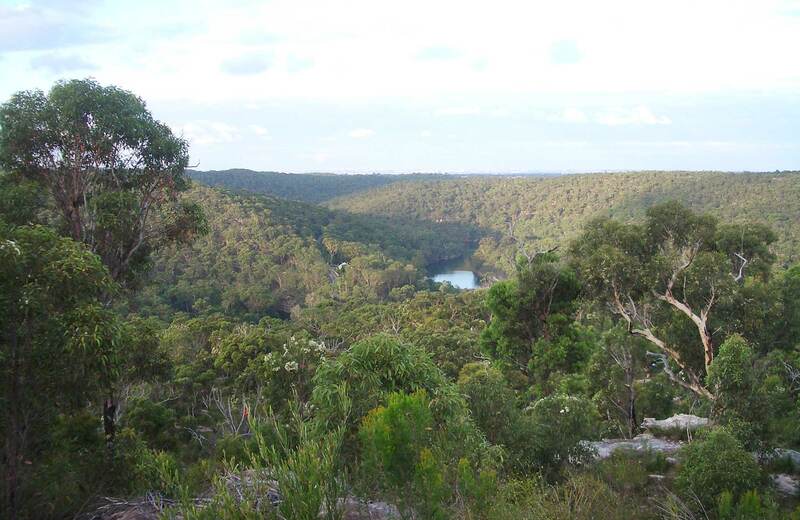 You won’t believe this long walk is only an hour from the centre of Sydney. Uloola walking track meanders through the picturesque highlands of Royal National Park, and you’ll soon forget you’re so close to civilisation. It’s also a popular mountain biking track, so keep your eye out for cyclists. 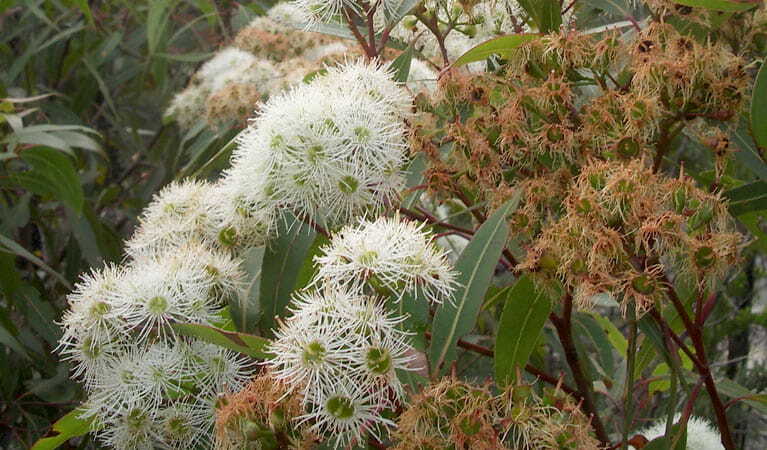 After passing Couranga walking track, continue through the heathlands and you’ll be dazzled by a wildflower display in the spring. Keep an eye out for the towering gymea lily that shoots a striking red flower in the warmer months. The track follows the ridge line with some great scenic views. 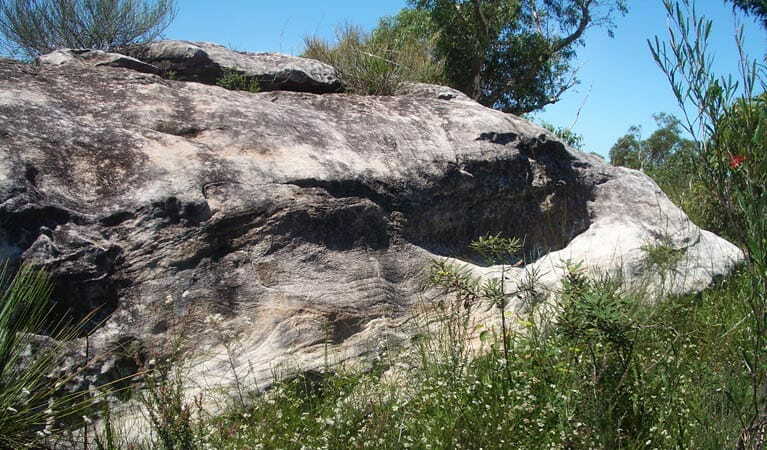 Look for the intriguing ‘whaleback’ formation in the sandstone. Stop overnight at the pretty Uloola Falls campground. 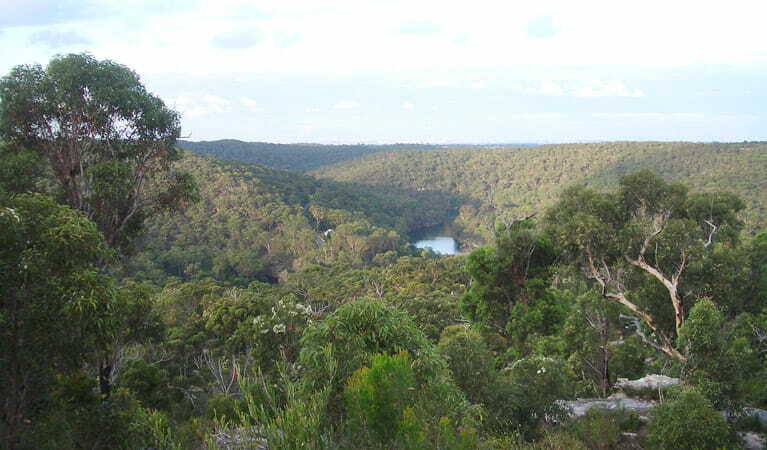 From here, you can loop back to Heathcote along Karloo walking track or continue on to Audley. If you’re into birdwatching, be sure to look for the quirky hanging nest of the water-loving rock warbler under the sandstone ledges. 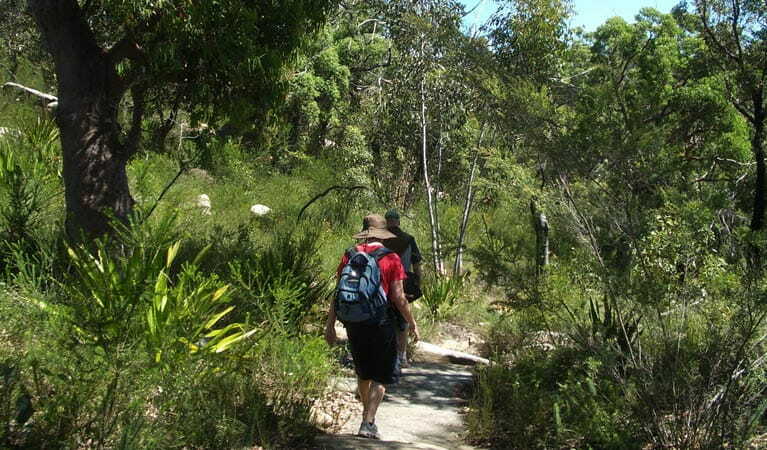 Take a virtual tour of Uloola walking track captured with Google Street View Trekker.